From invading aliens to high school outcasts, the best things we read and watched this month. Occasionally you have to embrace a ‘shame’ book that should have been read decades ago. 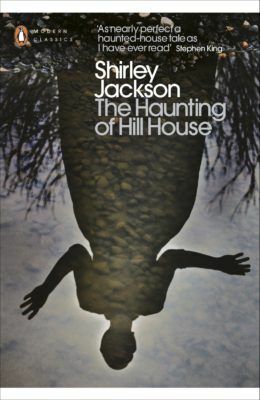 This was one for me: ‘the greatest haunted-house story ever written’ according to the Wall Street Journal, it has been made into two well-known movies (both titled ‘The Haunting’). Sadly the book and the movies had bypassed me up to now, so the novel became my post-Halloween treat. An alien invasion movie that doesn’t star some dude running around with a gun! Instead the hero confronting our alien visitors is a linguist. Which makes a lot of sense. If aliens were to arrive on our shores, the greatest issue would probably be language. In lots of alien movies they tend to either ignore this (shoot first, ask questions later) or get it out of the way pretty quickly, and understandably so. Translating human languages is tricky enough, without the added difficulty of aliens with completely different experiences and paradigms. It’s a long process, and one which doesn’t immediately seem the most riveting. But the central drama of Arrival is one of translation. It’s asking the simple question:’What is your purpose on Earth?’. But when the aliens’ language consists of an inky circle, and nobody can quite figure out the exact translation of ‘weapon’, things get a bit complicated. The world is waiting for the answer and it’s up to Dr Louise Banks (played by the incredible Amy Adams) to ask the questions. 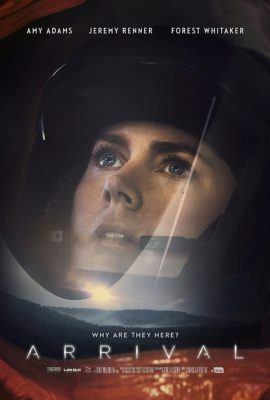 It’s a very clever movie, and Amy Adams’ performance also makes it a very affecting one. I can’t recommend it enough! 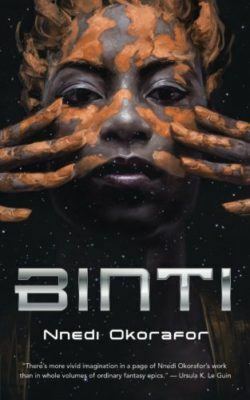 I absolutely devoured The Book of Phoenix so when I found Nnedi Okorafor’s Binti I could not contain my excitement. A novella set in space about a woman from the Himba people – right up my street. Marrying together gripping sci-fi with discussions on race, I think it’s a must-read. One of the famous ‘one-season wonders’ of modern television, Freaks & Geeks probably would have survived for a few more seasons if it had just aired a few years later. Instead, it stands as a testament to the ability of Judd Apatow and Paul Fieg to pick actors and write and produce superb, and very funny, stuff. Featuring a rogue’s gallery of people who would go on to become famous (partly because Apatow and Fieg continued to tap them for work until they finally made it big, beginning with The 40-Year-Old Virgin and Knocked Up in the mid-2000s), Freaks & Geeks is considered one of the best television shows ever made – and for good reason. It’s funny (often painfully so) and very honest about how weird and frustrating and confusing and boring been a teenager is. The title refers to two of the groups of friends that make up the normal ecology of an American high school – the geeks, socially awkward overachievers, and the freaks, who are relatively cool underachievers – and a brother and sister who find themselves moving between them. Fourteen-year-old Sam is a geek more by virtue of who he hangs out with than his own social awkwardness, which is as much a function of his youth and inexperience as anything. 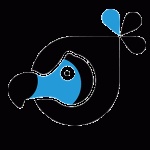 His 16-year-old sister Lindsey, however, is moving from geeky mathelete to burn-out freak, much to the dismay of her parents and teachers, and trying to understand her sense of dissatisfaction with either label. Freaks & Geeks is funny, yes, but it deserves its place amongst the heavens of good television because it’s so good, and so honest. High school is rarely really about high drama and explosive events, but it feels like it when you’re actually living it. Very few shows – or films or even books – have more accurately captured the experience better than Freaks & Geeks. Which has finally come to Netflix. Go watch it immediately. Go! 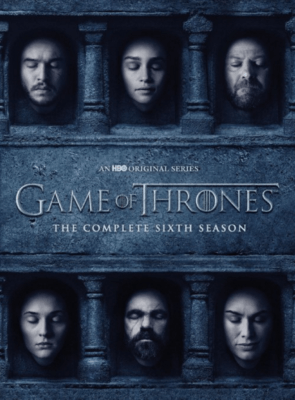 Although I’m about three years behind everyone else in watching this, I somehow made it all the way to the end of the third series without hearing about the Red Wedding (aside from a few dark mutterings from veteran watchers telling me that ‘things were about to go DOWN’). Until I watched this episode, I was addicted to GoT. I’m a latecomer, but I was LOVING IT. Catelyn Stark was my favourite character. I was hyper-sensitive to every pouty change of expression from Jon Snow. I wanted revenge on Joffrey. I was mesmerised by Robb Stark’s manliness, and his power to command the North. I was committed to the Stark’s quest to avenge Ned and take down the Lannisters because they deserve it, the incesty murderous bad family. And then, what happened George? You KILLED OFF ALL MY FAVOURITE CHARACTERS. At once! SRSLY. I was so upset and angry after this episode that I needed a break. I was shaking at work. I was devastated. WHY HAVE YOU DONE THIS TO ME, GEORGE? What else is the actor playing Robb Stark appearing in, so that I’m not totally deprived of his face? Why Catelyn, George, when she was so stern and noble and beautiful? WHY? Luckily, over the last month, I’ve been talked round and have grudgingly started watching the show again… and remembered that life goes on, it is pretty awesome, and there are still some great characters I’m rooting for. So I’ll continue… but I haven’t made my peace with it, George. I’M STILL ANGRY. Our 25 favourite things of 2015 The best of 2015.